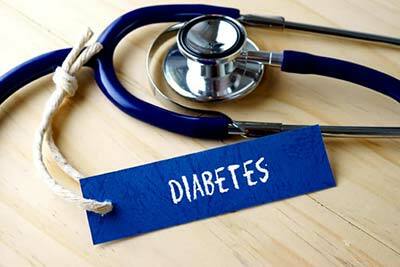 Diabetes Management: Is there a way to protect you from diabetes? Diabetes, or medically called diabetes mellitus is a very serious and common disease that became a threat not only to our current society but also for future generations. As per the National Diabetes Education Program research, 25.8 million Americans have diabetes, which is 8.3 percent of the U.S. population where seven million do not know they have the disease. Diabetes which equally affects men and women is a disease in which a person has high blood sugar, either because the pancreas does not produce enough insulin- Type 1 diabetes, or because cells do not react to the insulin that is produced known as – Type 2 diabetes. Both diabetes types are successfully treated with insulin and oral medication, but however diabetes, in general, cannot be cured. In Century Medical and Dental Center (Downtown Brooklyn, Gravesend, and Flatbush) we successfully treat and control diabetes by checking patient’s sugar level on a regular basis and advising them on how to manage and deal with diabetes in everyday life. Therefore our primary care physicians always tell patients that living a healthy lifestyle is the only way to protect themselves and lower the risk of getting diabetes Type 2. Living a healthy lifestyle, being active and most of all eating a healthy diet is the only proven way to prevent diabetes Type 2. Type 2 diabetes is commonly called adult diabetes since in most cases affects adults. However, Type 1 diabetes cannot be prevented even though there were many kinds of research done but without success. A healthy diet that could prevent diabetes is consisted of skipping the refined grains and sugary soda. Also, red meat such as steak, hamburger, pork chops, and others should be limited while processed meat; bacon, hot dogs, and deli meats should also be avoided. Instead, ones should choose healthier protein sources such as nuts, beans, poultry, and fish. These instructions can help lower diabetes risk. Besides a healthy diet, exercise is very important. Keeping the body active could boost the immune system, which automatically means better protection of the body. Therefore, activity together with a healthy diet could prevent diabetes. Another proven fact on how to prevent diabetes is weight control. Studies show that people can prevent or delay disease by losing 5 to 7 percent of their weight while persons who are obese are at very high risk for developing Type 2 diabetes. Obese people first enter the early stage of diabetes called pre-diabetes where the body is losing the ability to control the blood sugar level which means the cells become resistant to the effects of insulin. When this happens patient has accumulated insulin in the blood which leads to high blood pressure and low HDL-the good cholesterol and eventually clogging of the arteries. All these conditions are very serious and life-threatening. Diabetes is a commonly spread disease that affects adults and children of any age. It is a very serious and dangerous disease. Many people today take this disease for granted and are not aware of how life-threatening it can be. There is no proven method found yet in preventing diabetes Type 1, but for Type 2 diabetes there are ways to avoid, prevent and protect you. Being active and having a healthy diet with weight control could make so many changes in your life. Therefore be informed, take good care about your health, make wise decisions and remember- Type 2 diabetes can be prevented. For more information about the services and treatment options offered by our general practitioners or to schedule an appointment with internal medicine physicians in Brooklyn, NY, call Century Medical & Dental Center.